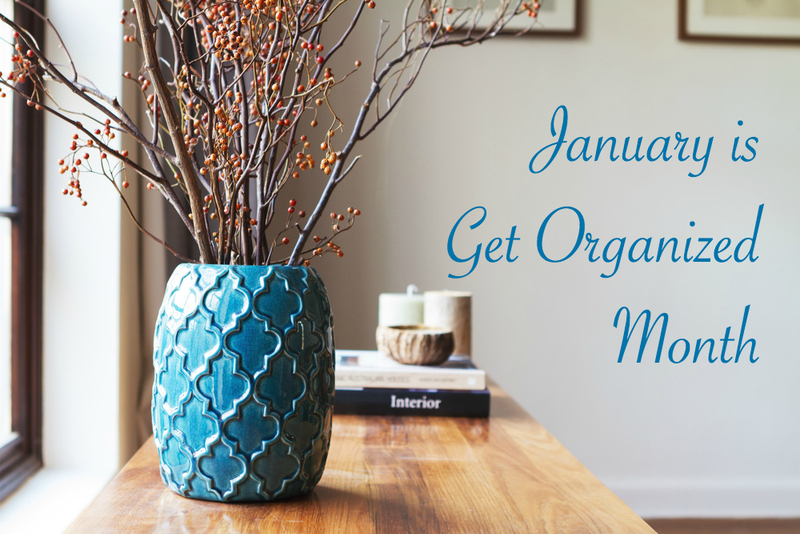 Did you know that January is Get Organized Month (or what the general organizing community refers to as GO month)? Makes sense when you think about it. January is a time of resolutions, reflection, and goal setting. It’s also the time of year when home and office organizing supplies typically go on sale, and when folks start acting on their organizing-themed resolutions. With that in mind, and before January slips away and February starts knocking on our door (where is the time going? ), I’ve got a few quick tips to help you with your organizational projects. Unclutter first. It’s best to pull everything out of a space and sort it into piles: Keep, Throw Away, and Other. Items you’re keeping? Put them in their home, i.e., where they belong. Throwing them away? Trash, shred, recycle or donate them. The other pile? Assign what needs to be repaired, returned to someone, relocated, or whatever special action needs to happen. And of course, follow through on your throw away and other pile assignments. Clean the storage space. Before you put the keep items away, take a few minutes to clean the space where those items will be stored. Dust it, fix shelves, replace shelf liners, wipe away spider webs, etc. Make the storage space a place you want your items to be. You’re more likely to use the space and your system if you like it. Know yourself. If you’re someone who finds it challenging to put things back where they belong, you’ll want to make it as simple as possible to put items back in their places. Think about how quickly and easily you can access what you need. And how quickly and easily you can return it to its home when you’ve finished with it. Organize around those concepts to help ensure you’ll put things back where they came from and help yourself stay better organized going forward. Let me help. If January’s organization feels like it might get the best of you, or you could benefit most from having an organization specialist assist you with household organization (rooms, closets, kitchens, garages, moving, etc. ), and/or personal or home office organization, I’m here to help. Get the January discount. One way I can help is by offering a 10% discount to anyone who books with me before February 1st 2017, with project completions no later than March 31st 2017. So don’t hesitate to reach out and let’s get you and your home organized now! Newer Post 9 Tips for Maintaining Home Organization	Older Post Sorry, Spring Cleaning! It’s All About Fall!